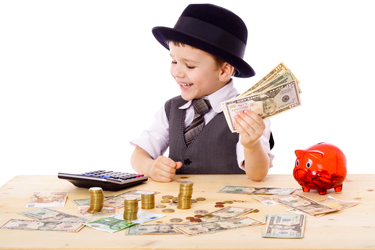 Welcome to the Kid-powered Universe! 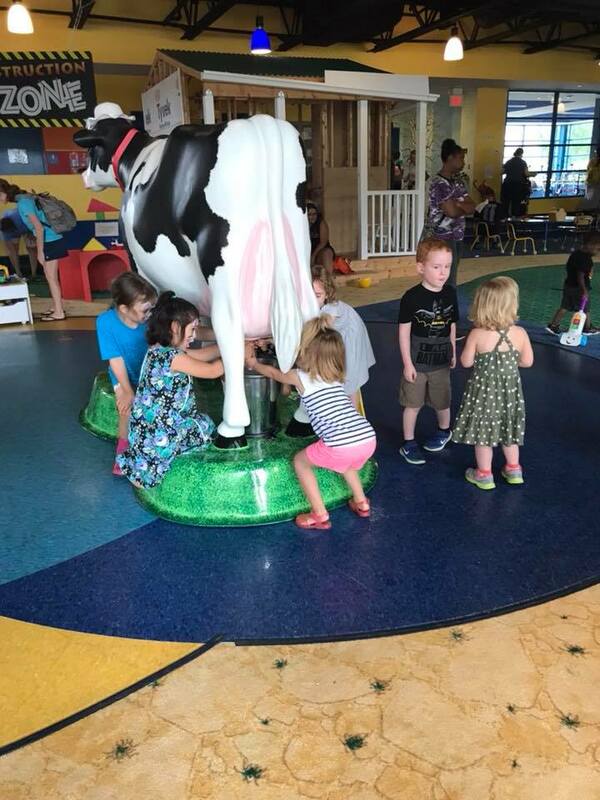 Amelia Park Children's Museum is jam-packed with exhibits designed to charge up imaginations! 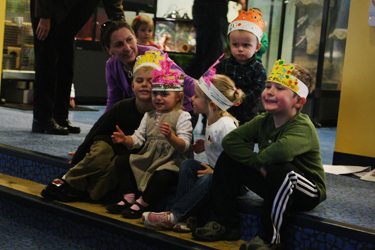 Visit our Facebook Page to see more pictures from events here at the museum! 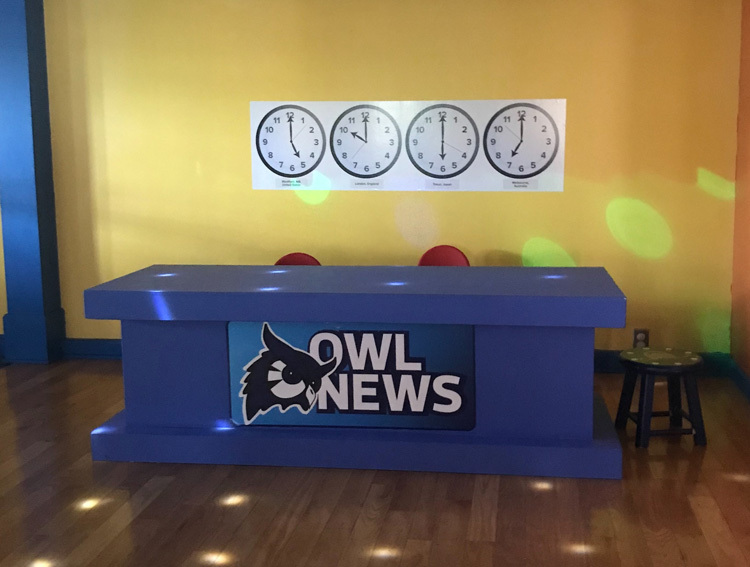 Our recently updated Westfield State University exhibit has a fresh new look with a multitude of new career-based role-playing activities to keep kids engaged and active. 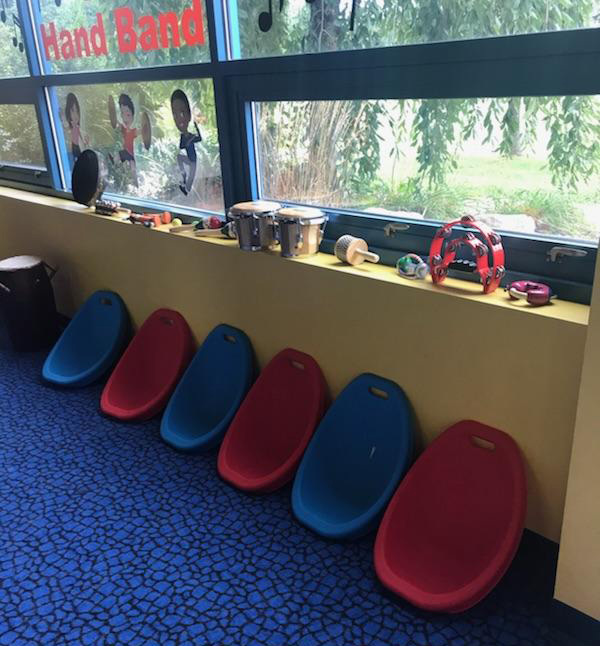 Mix it up by making music in our new Hand Band instrument section! ‍Become a paleontologist! 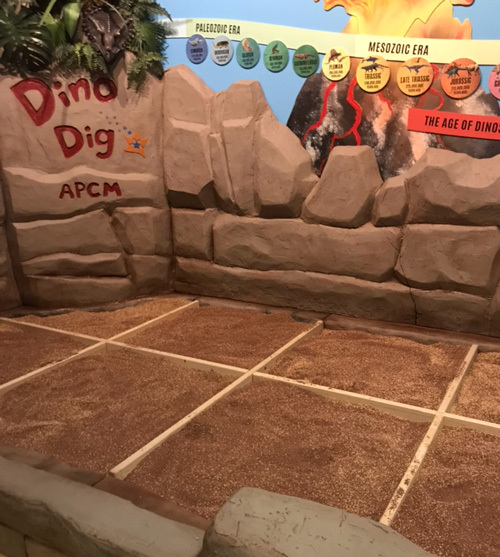 Dig for dinosaur bones and fossils with a guided map. Explore the dinosaur time line and learn all about these larger-than-life creatures. 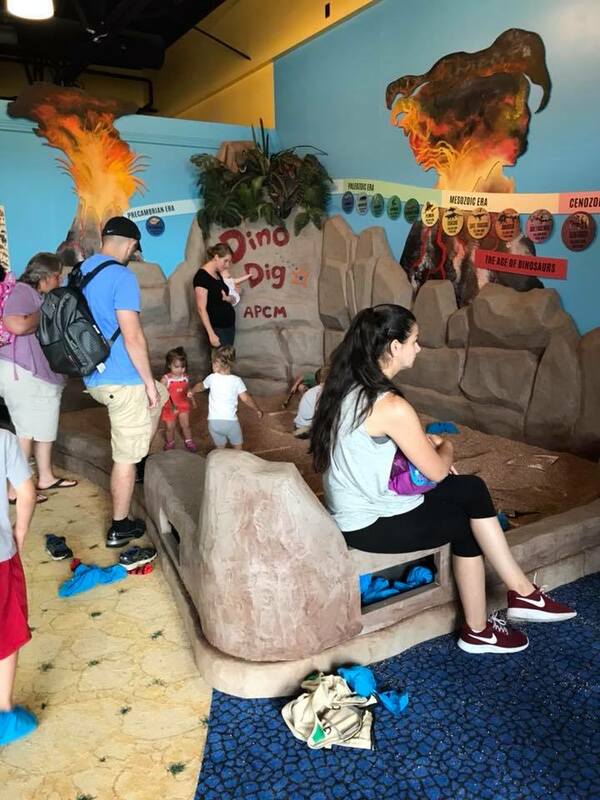 This exhibit is fun and educational for all ages! Come visit one of our main attractions! 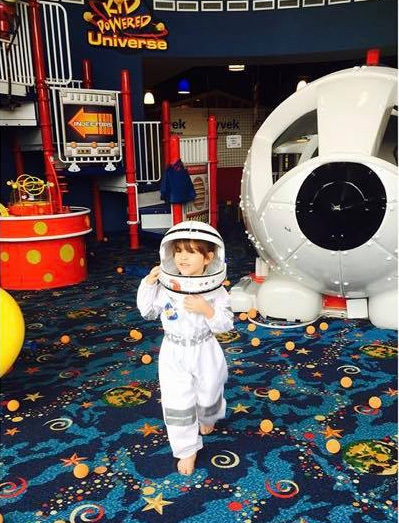 Dress like an astronaut and pilot our giant space ship. 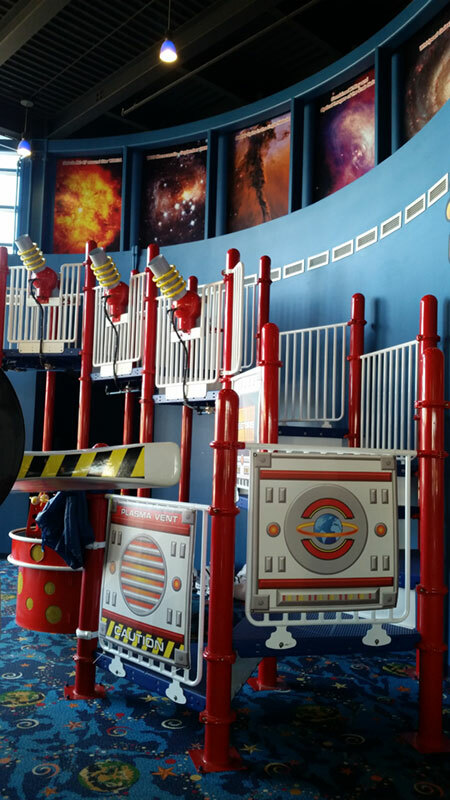 Climb the ladder to the rocket launchers where you can shoot balls into outer space and aim for the giant sun, which drops the balls back down for you to race and collect to start launching again! 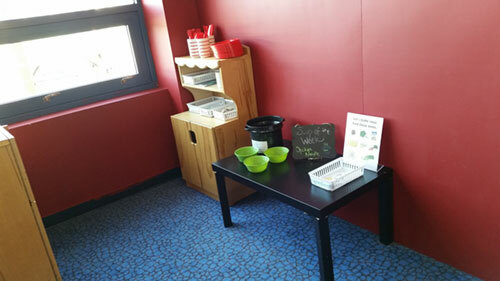 Our toddler area is perfectly fit for little ones. 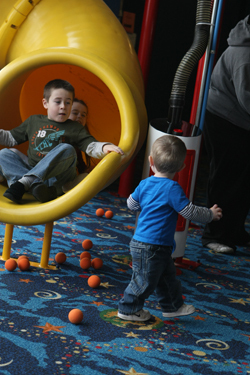 It allows them to explore with age appropriate, safe, and fun toys! 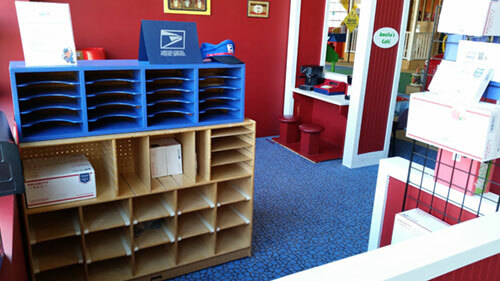 The soft building blocks let toddlers be creative and build beyond their imaginations. The exhibit includes a huge variety of large LEGOS that your child can put together and/or take apart! 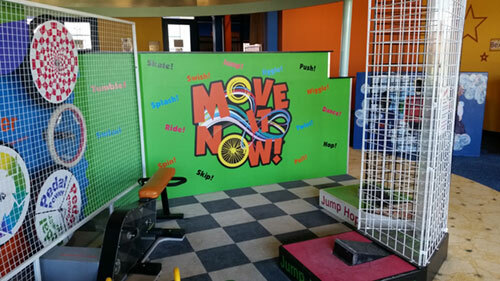 Our building wall allows you and your child to make an obstacle course and watch colorful plastic balls travel through. 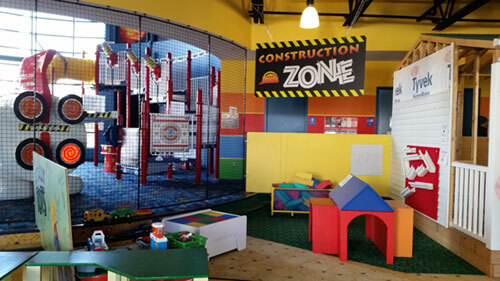 Put on your hard hats and head over to the Construction Zone. Use your imagination to build and grow! Get hands on learning experience about tools. 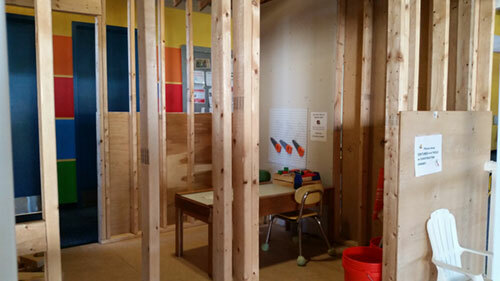 This exhibit encourages building and engineering with both fine and gross motor skills. 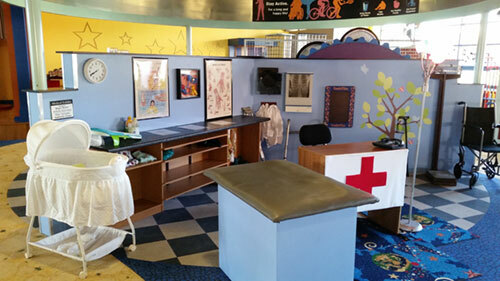 Become a doctor in our doctor’s office exhibit and take care of your patients whether they have a broken leg or just need a check up. 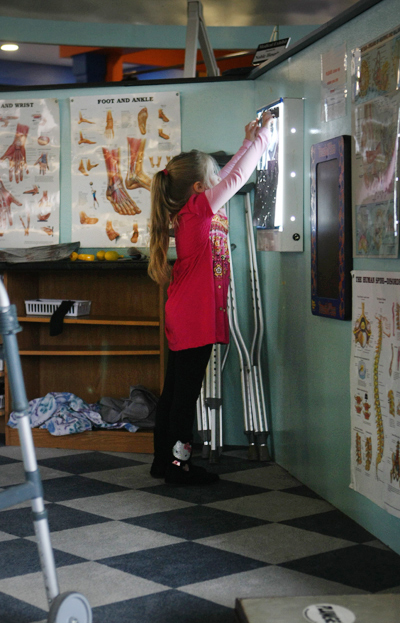 Use our X-ray light to check out real pictures of broken bones! 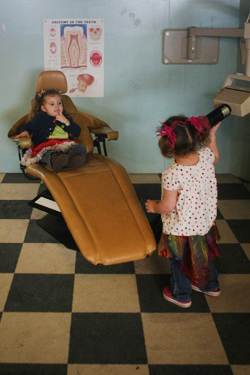 Have patients sit in our dentist chair while you look at X-rays of teeth! 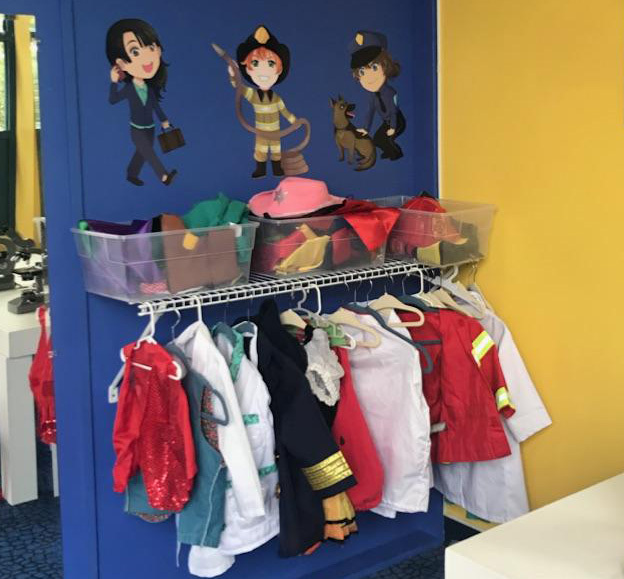 Learn fun facts about teeth while dressing up in a uniform that represents a dentist and or dental hygienist. 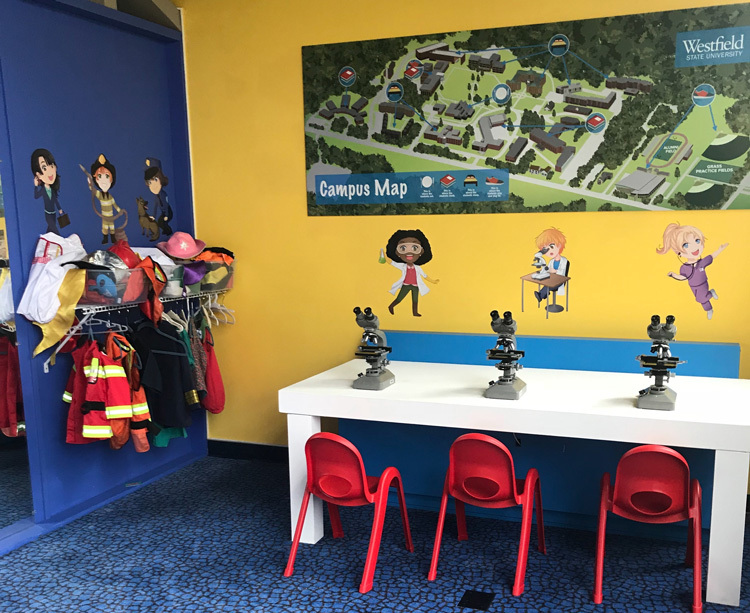 Come visit the village inside APCM where children can explore and grow! 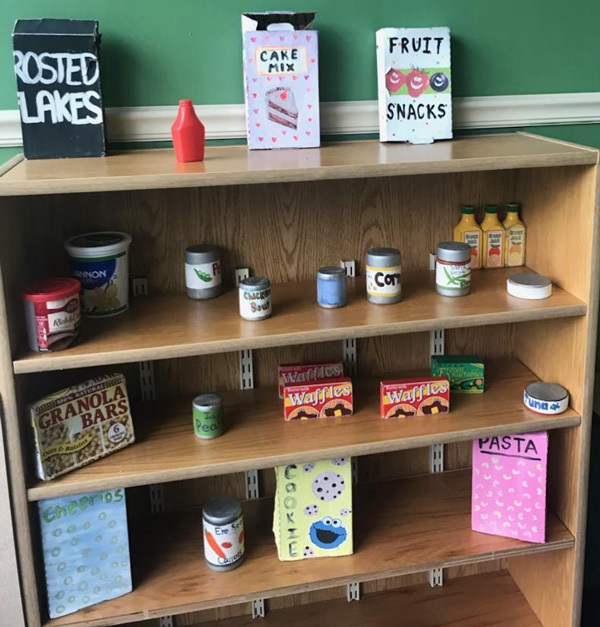 Amelia’s Café mirrors a realistic kitchen where children can use their imaginations to learn while cooking and serving food to their guests. 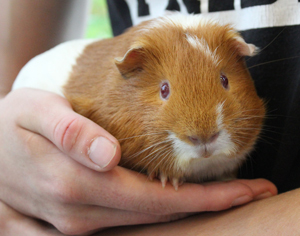 Did you know that guinea pigs have three toes on their back feet and four on their front feet? On average guinea pigs live between 4 and 8 years, but the oldest guinea pig ever lived to be 15! In the wild guinea pigs live in large groups so its important to cuddle your little buddy. 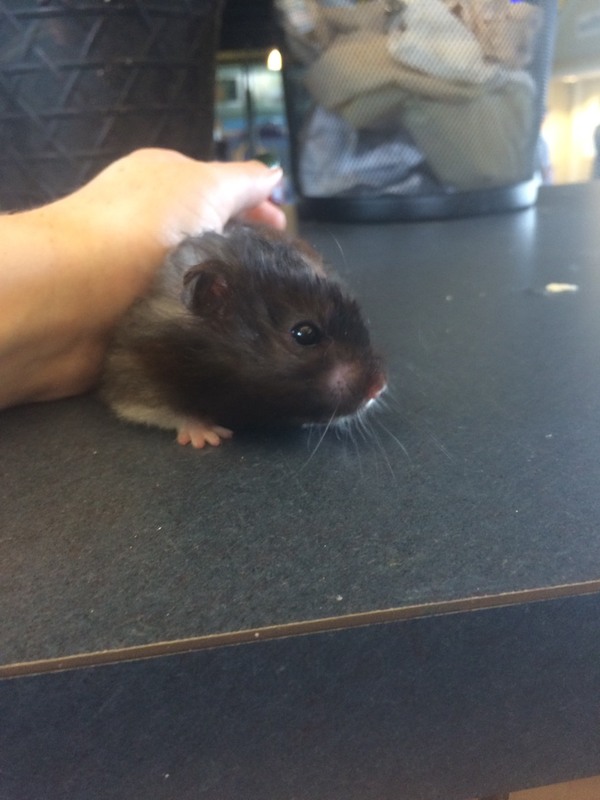 Hamsters like Josephine usually live in burrows underground during the day and come out at sunset to eat. Just like her wild counterparts, Josephine eats a diet primarily made up of seeds and fresh fruits and veggies. This is our buddy Houdini, the omnivorous Box Turtle! While most wild turtles live about thirty years, in captivity they can live to be over a hundred years old! 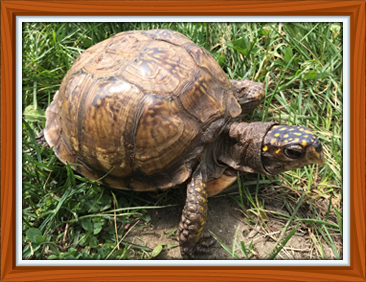 Box turtles are NOT tortoises even though older box turtles (like Houdini) live almost entirely on land. Young Box Turtles have soft shells until the age of 7 years. The smaller softer shells make them excellent swimmers and they spend most of their days in the water. After 7 they tend to spend more time basking in the sun than in the water. 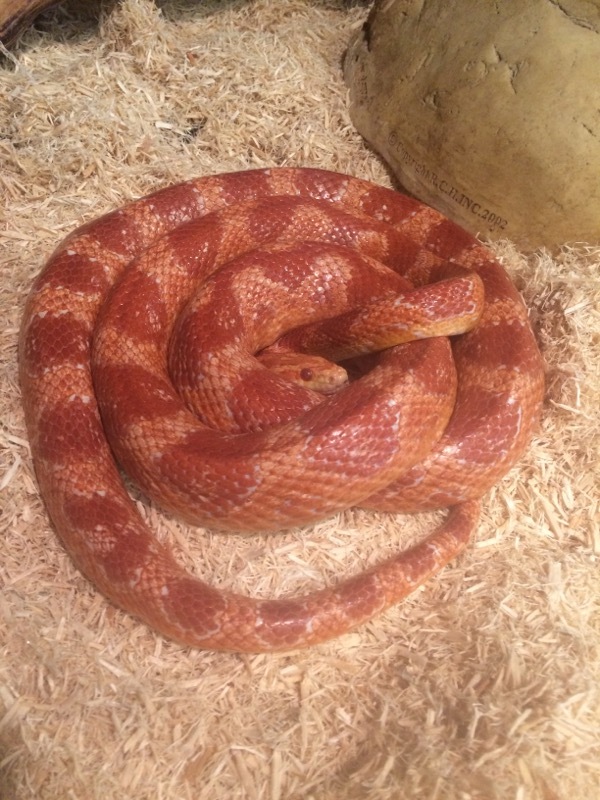 Corn snakes eat mice and small rodents. They will eat only a couple times a month! Like all snakes, corn snakes, shed their skin when they out grow of it or as it gets old and worn out. Corn Snakes are named after the corn like pattern on their bellies and because they were found in corn silos chasing mice. Keep watch for new animals to come! 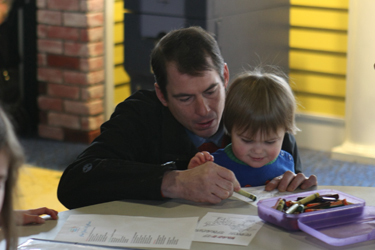 Our activity table offers multiple hands-on learning throughout the week. 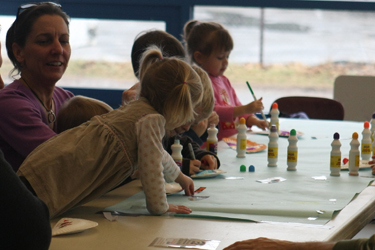 Each week day, the museum puts out a new activity at the activity table. 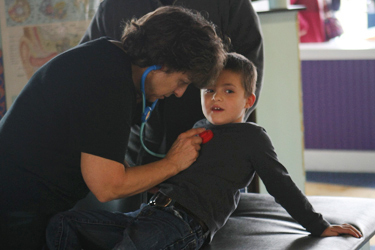 We love to keep kids learning! Watch yourself as you put on a show! Our performance area includes a stage with a camera that shows you back on a TV! Come play with our train village! 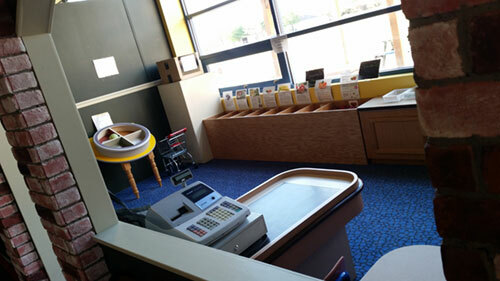 The exhibit area is full of various track segments and landscape options that you can use to create your own village.